448 Aerial Firefighting with the Global SuperTanker - Airplane Geeks Podcast - The weekly audio podcast that explores and expands your passion for aviation. Aerial firefighting with a Boeing 747-400, airline policies for overbooking and bumping passengers, Mar-a-Lago air restrictions for presidential visits, and F-16 fighter service life. 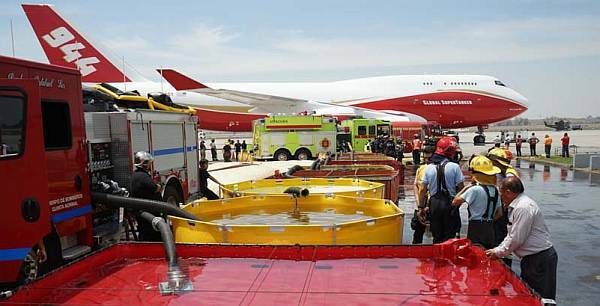 The Global SuperTanker in Chile for aerial firefighting operations. Courtesy Global SuperTanker Services, LLC, (c) Bill Gabbert. Capt. Tom Parsons, Assistant Chief Supervisor/Pilot and Scott Olson, VP Maintenance for Global SuperTanker Services, LLC. The company was formed in 2015 and acquired a B747-400 to use for aerial firefighting and other operations. We talk about the kinds of missions the Global SuperTanker can fly, and Tom and Scott explain the aircraft modifications, the loading and delivery system, and the recent activity in Chile fighting wildfires. We also learn about the coordination required for all the air and ground participants in this kind of operation. Wildfire Today, wildfire news and opinion. 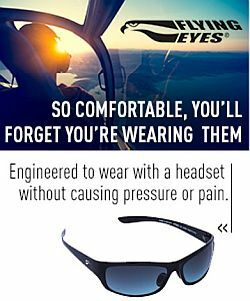 Fire Aviation, news & commentary about aerial firefighting. Interview with lead plane pilot Jamie Tackman about the 747 air tanker. The passenger who was violently removed from the United Express flight operated by Republic Airways intends to take legal action. The man’s lawyer claimed his client lost two teeth and his nose was broken. We discuss the resulting media storm, airline practice of overbooking flights, and the procedure for bumping passengers. This entry was posted in Episodes and tagged aerial firefighting, engines, F-15, F-16, OBAP, United Airlines on April 19, 2017 by maxflight. I have to say that this was about the best podcast I’ve ever heard (bearing in mind I have only been listening for a year or so.) I swear I could look out the window of my car and see the engines of that 747 bouncing on the wing in the turbulence before the drop. I felt like I was in the hump, riding along. VERY interesting show – you guys asked all the right questions (sometimes, it seemed, even as I thought the question should be asked.) I was on a long drive to Kansas City at the time, and the time flew. Good show!! !